Libelium announces the integration of NEC on board of its Sensor Platform through the Meshlium IoT Gateway. This integration’s announcement includes six new cloud platforms that join Libelium’s IoT ecosystem, now comprising more than 100 partners. This fact reflects the wide range of compatibility that Libelium offers giving customers access to develop IoT projects involving different cloud platforms. To this end, Libelium strengthen its portfolio by extending the interoperability of its technology to offer a quicker and easier adoption of IoT solutions. Libelium is currently shifting its strategic focus from sensor devices to its Meshlium IoT Gateway to extend its presence in the whole IoT value chain allowing the development of end-to-end solutions. “The great interoperability of our IoT platform allows customers to access to new market opportunities by connecting any sensor or even any device to any cloud platform through any communication protocol”, Alicia Asín, Libelium CEO, states. The company has recently enhanced the accuracy, reliability and quality for applications such as Smart Parking, Smart Environment, Water Management, Air Quality Index and many others that will be showcased at Smart City Expo World Congress in Barcelona next week. 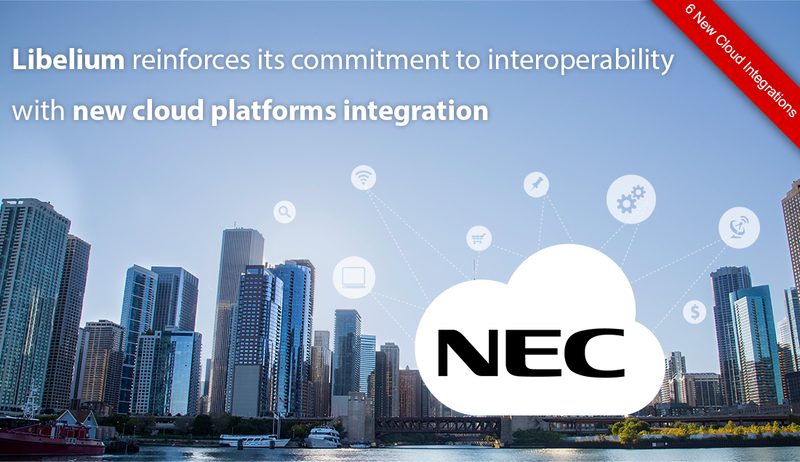 NEC, worldwide leader in the integration of IT and network technologies, has trusted Libelium and joined the Cloud Partner program to innovate on IoT Solutions. NEC´s Connexive IoT Platform and Libelium Meshlium IoT Gateway interaction deliver state of art capability for IoT devices and sensors management and orchestration including support of massive IoT information data storing, processing and analytics. Biz4Intellia is an end-to-end IoT and M2M solution which includes combination of IoT devices, an IoT platform suite, inbuilt reporting and analytics platform, and configurable business services. Biz4Intellia produces a seamless end-to-end solution to support business process execution to achieve specific business objectives. RoboMQ is a Hybrid Integration Platform that integrates SaaS, multi-cloud deployment and applications over any protocol to build unique business advantages. RoboMQ is a mesh of open-core messaging brokers allowing local interaction with federated hops across clusters. Spark Compass, based in the United States, has created a platform that collects data from devices, wearables and sensors networks. Powerful analytics on collected performance data are carried out, real-time behavior and actions provide granular visibility in a centralized platform specialized in healthcare and public spaces such as universities, stadiums, or airports. Symphoni: this start-up based in the United Kindom has created a platform that gives the users the opportunity to build applications easy, no coding is required. Symphoni permits the user to connect building blocks in a visual and intuitive way while the platform generates the code. Ubicamóvil enters the Libelium Cloud Partner Ecosystem as the first Mexican platform. Initially designed to GPS satellite tracking for automobiles, Ubicamóvil is now expanding its business to different verticals into the IoT world. With the integration of these platforms to strengthen its vast Ecosystem, Libelium is easing the IoT adoption in all the verticals of the market around the world. On this context, The IoT Marketplace –the global IoT e-commerce released in 2016- already offers 68 IoT kits “ready-to-be-deployed” for applications as varied as noise levels monitoring, flood prevention, smart building, air quality index or industrial protocols, among others. If you are interested in adding your cloud platform, contact us and visit the Cloud Partner Program.